Do I always need planning permission for a development? These rights allow you to carry out certain kinds of work, as long as the restrictions are adhered to. For example, you can add a single storey extension, as long as it doesn’t extend beyond the rear wall of the original house by more than three metres or four metres for a detached house, and in some cases six metres or eight metres for a detached house. The maximum height of the rear extension must not exceed four metres. It should be noted however that there are other criteria too and these must be cross-referenced to ensure your proposal satisfies them all before it is confirmed to be ‘permitted development’. Also included in permitted development are loft conversions, as long as they do not create more than 40 cubic metres of space in a terraced house and 50 cubic metres in any other case. Again, there are other criteria that should also be considered before the proposal can be confirmed to be permitted development. Do remember that any space that was added by any past owners of your property since 1948 will count as previous development over and above the ‘original dwelling’ and should be factored in when working through the relevant criteria to decide whether further development can be undertaken under allowances conferred by permitted development rights. When do they not apply and what are the limitations? Local authorities are also able to remove some of your permitted development rights by issuing an ‘Article 4’ direction or by withdrawing permitted rights (e.g. extensions, alterations and changes of use) through the imposition of a planning condition that is attached to a primary planning permission. In this instance you will have to submit a planning application for work which would not normally need permission. Article 4 directions are often put in place by local authorities when development could threaten the character of an area. This most often happens in conservation areas, but you can check with the local planning authority if you are unsure. 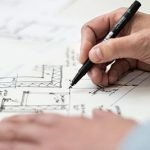 If it is unclear if permitted development is allowed, or if your project is not straightforward, you should consider applying for a lawful development certificate. This can be useful for anyone undertaking work under permitted development – it can be useful if you come to sell your property as there will be no quibbling over whether the work is compliant or not. It is a definitive opinion provided by the local authority whether your proposed development / change of use is lawful under permitted development rights. Opinions provided informally by local authorities as part of the pre-application process do not carry the same weight therefore you should not necessarily rely on them. How can I find out if these limitations apply? Contact the planning department at your local authority for more details. If it is unclear where you stand, getting advice from a planning consultant, such as Apex Planning, could be invaluable. We can not only advise you whether a proposal can be completed under permitted development rights, where a proposal is not compliant we can suggest amendments to ensure it is, and if ‘limitations’ are in place we can advise you how to prepare the requisite planning application for permission from the local authority.